The jury of Headies took the decision because Tekno failed to participate in all of the required activities leading up the event. 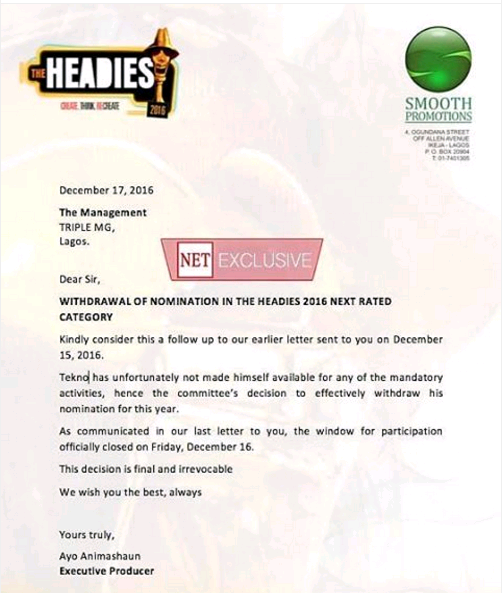 Official emails between the organizers and the singer’s reps confirm all nominees for the category were required to take part in promotional activities including photoshoots, interviews and more. 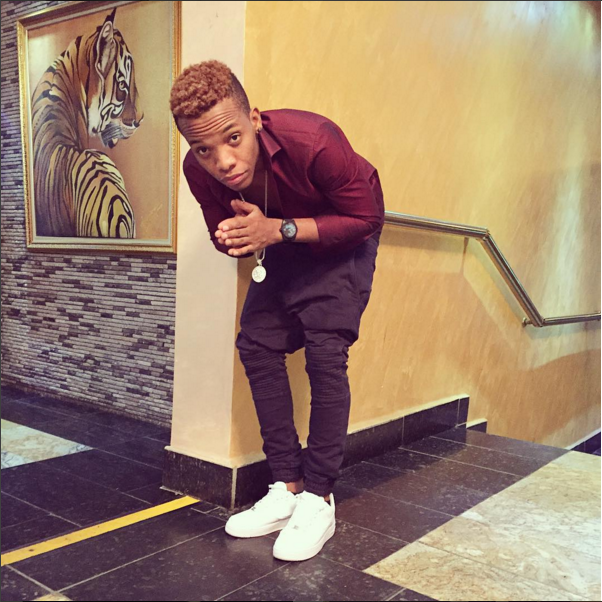 It was the only category Tekno was nominated in. He missed out on major nominations including ‘Artiste of the Year’.